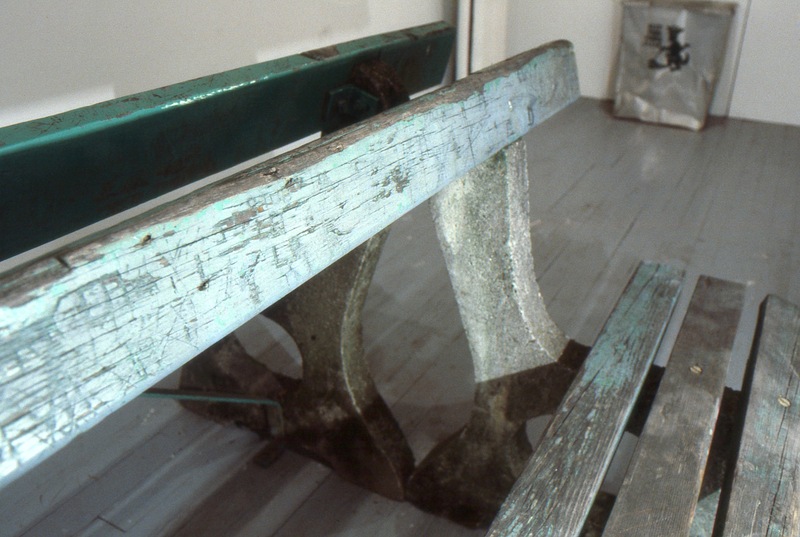 VICTORY SQUARE, 1987, is a spatial analysis of the small urban park in downtown Vancouver adjacent to the OR Gallery where this installation was exhibited in 1987. 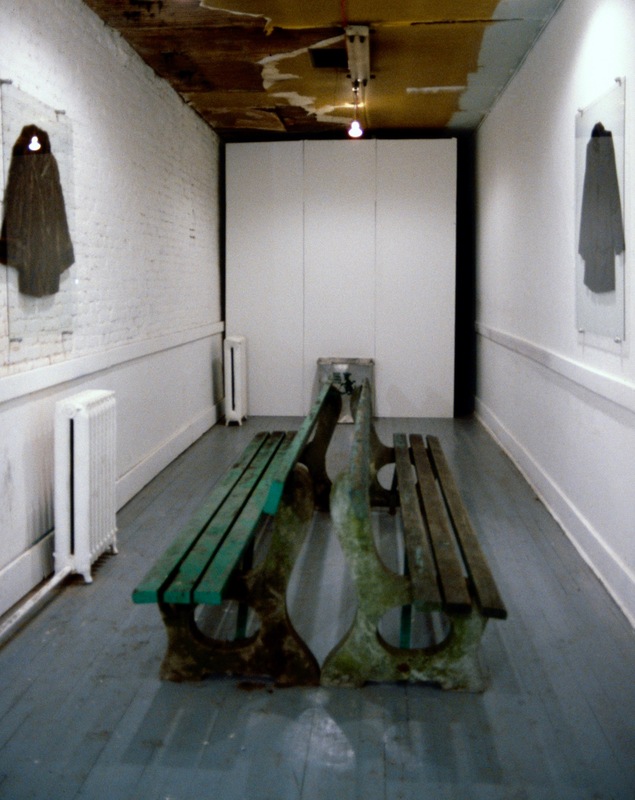 This public space was and still is often used by street people, and was then ironically flanked by two prestigious clothiers; Pappas Furs and Mr. Jax. 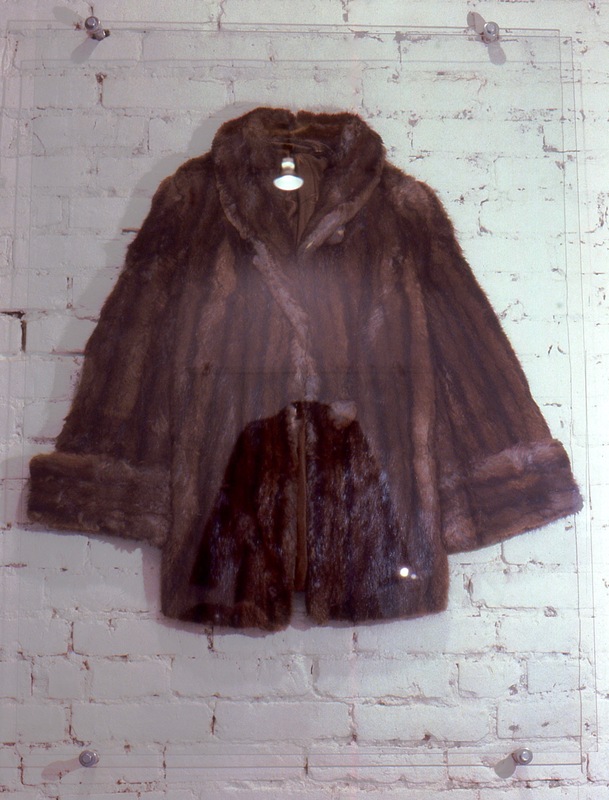 The fur jacket and dress suit pressed onto the narrow gallery walls by sheets of glass reflect these two businesses as they frame the two park benches from Victory Square in between them. 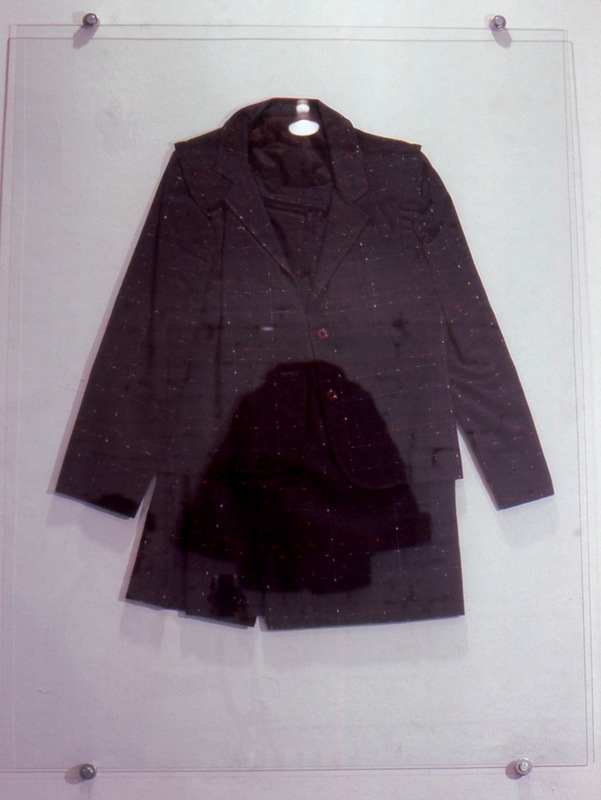 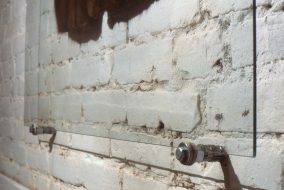 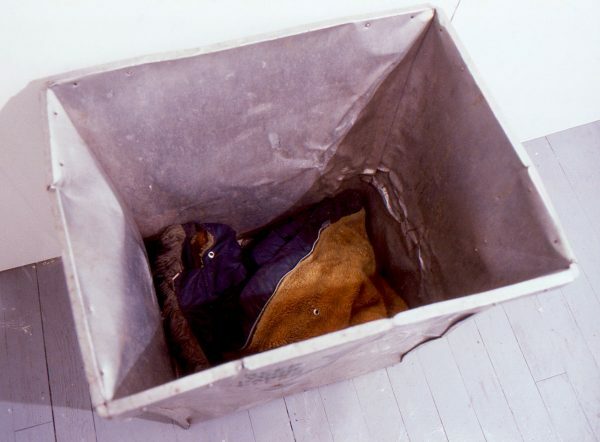 At the end of the gallery is a garbage container, inside of which is a third article of clothing, a soiled synthetic parka jacket that was retrieved from a dumpster in the alley behind the furrier company.